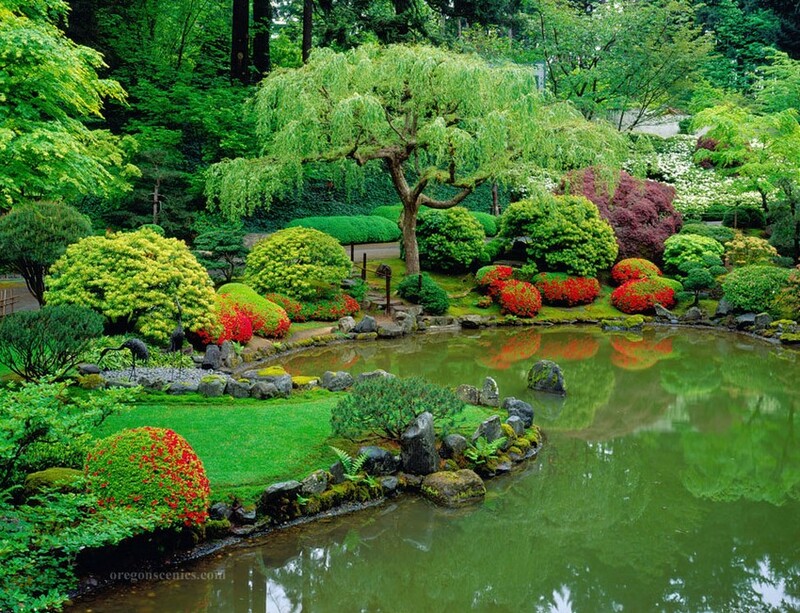 The centerpiece of any Japanese garden is a body of water. It can be a lake, a small pond or even a tiny brook. 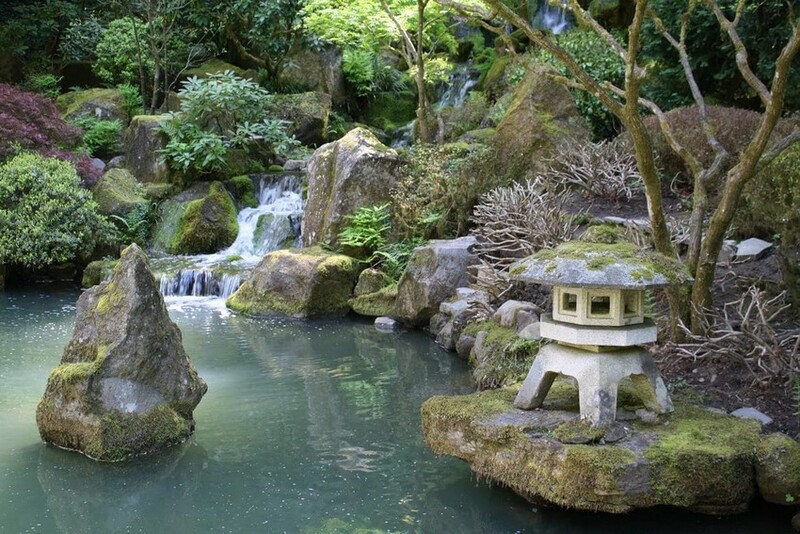 The most important thing about water in a Japanese garden is that it must look as if it has been here for hundreds of years. 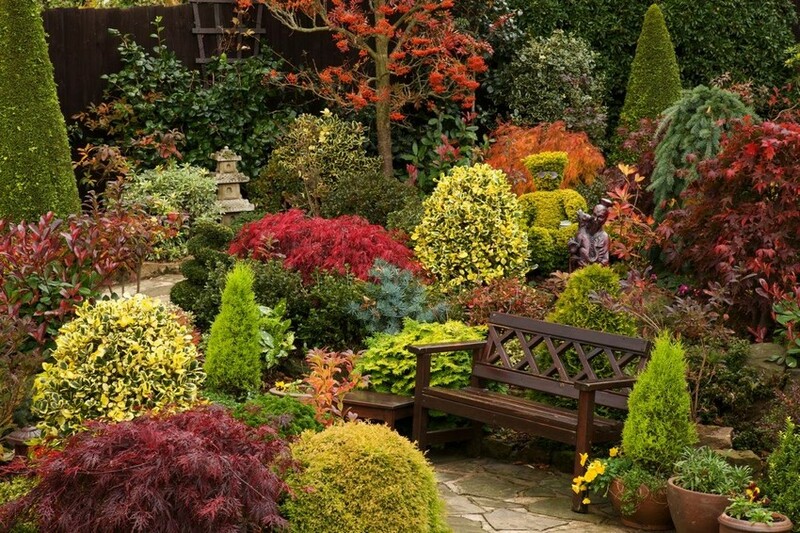 Don’t be scared – you can achieve the sense of eternity quite easily: just arrange some stones or moisture-loving plants, such as moss, irises or water lilies, in the center or on the sides of the pond. 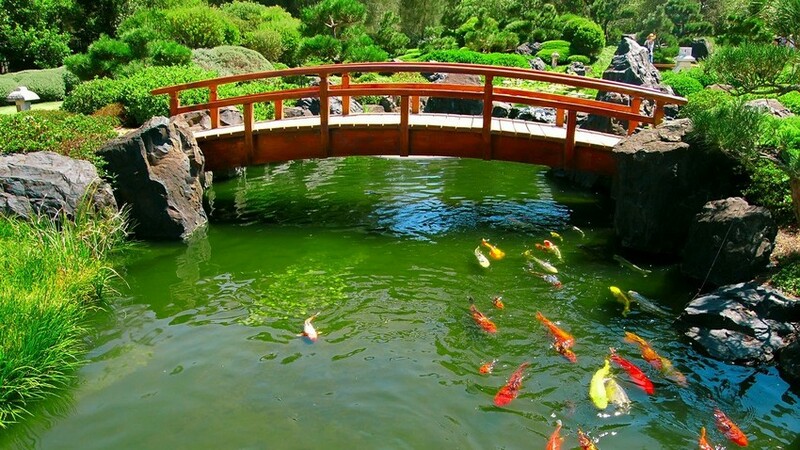 And to enhance the feeling of a genuine Japanese garden, you can put koi in the pond – but remember that they need special care, especially in the winter time. 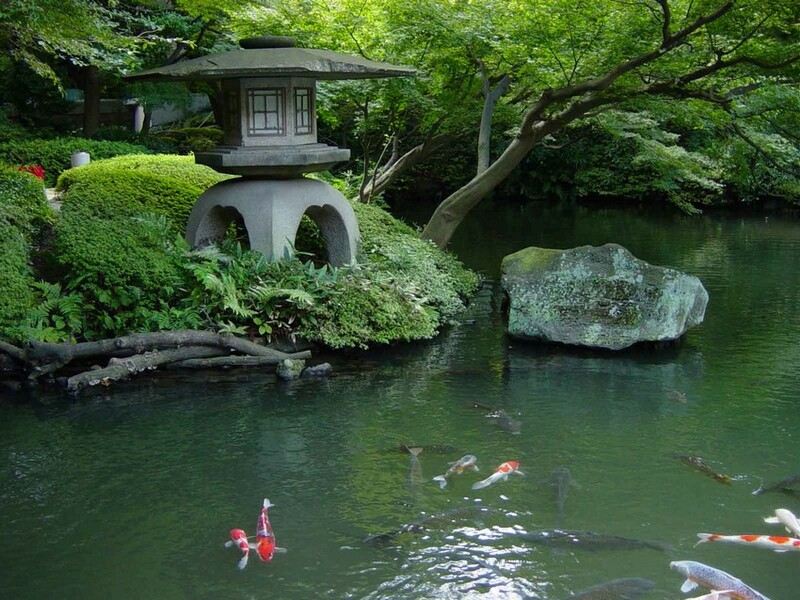 Small architectural forms are an integral part of a Japanese-style garden composition. 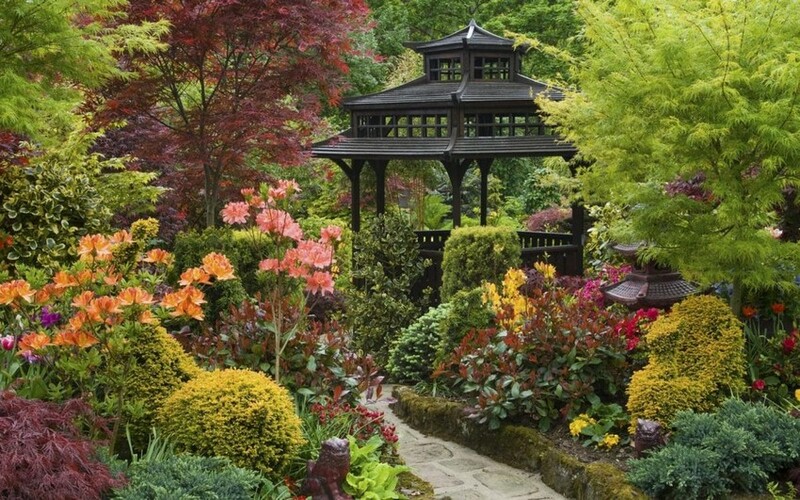 According to Japanese philosophy, mental and spiritual harmony can be reached in a cozy quiet place, like a garden gazebo or a traditional bench. It’s strongly desired that the waiting bench or the gazebo should be made from wood or bamboo – plastics and metal are non-acceptable here. 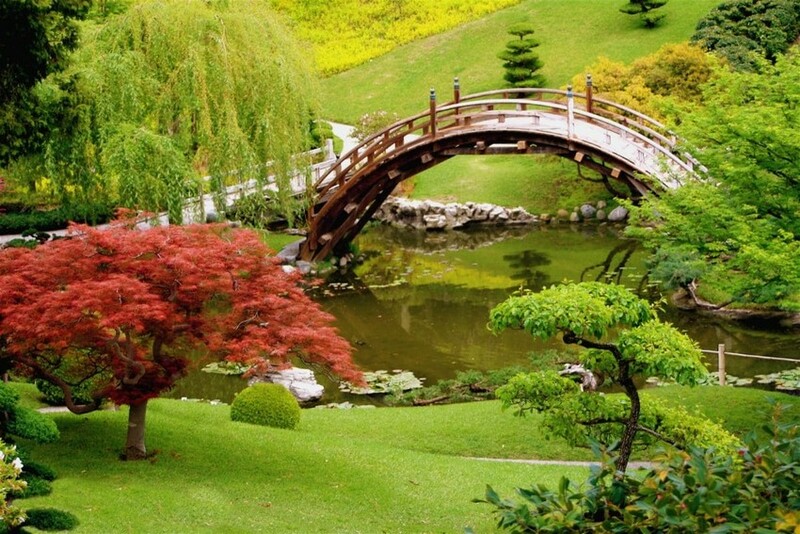 When asked to describe a Japanese garden, we usually think of a small bridge over a pond. Usually this architectural form is designed to connect the relaxation zone with the rest of the garden. One more important feature of Japanese design concept is stone figures and lanterns. It’s better to have more traditional stone lanterns illuminated with candles. Of course, for the sake of convenience you can also use electric bulbs, but you will hardly find such version in a genuine Japanese garden. Candle lights are more natural and the atmosphere they create is truly magical and romantic. The most important thing about architectural forms is that each detail is meaningful and the space mustn’t be overloaded. 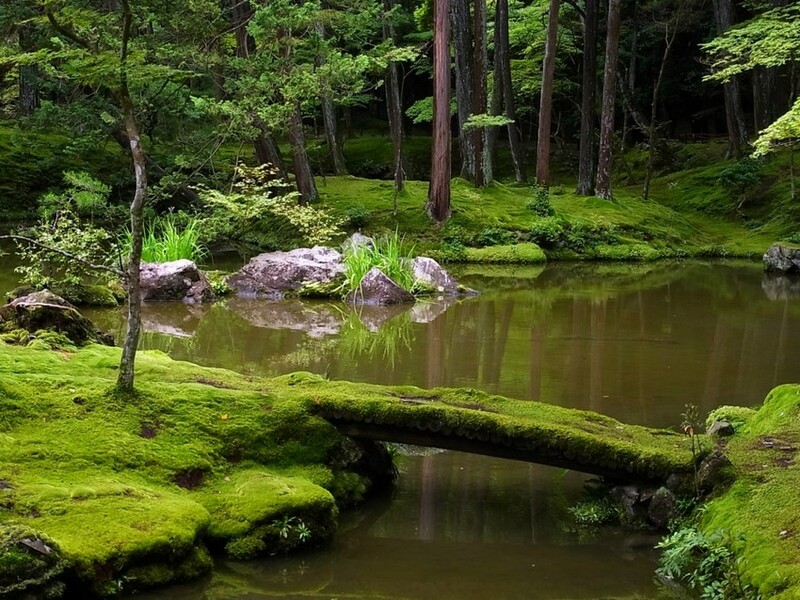 Balance is what we are searching for in a Japanese garden. 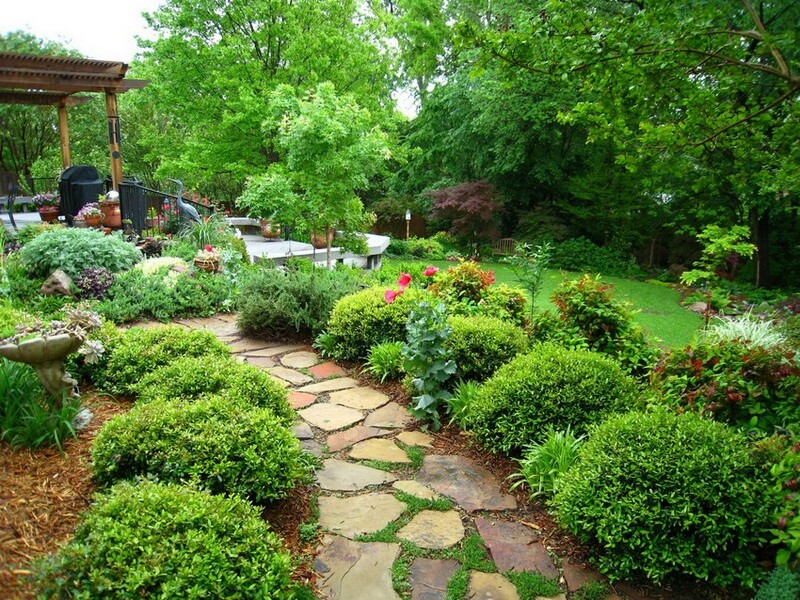 Japanese garden paths are mostly made from stone or, less frequently, from gravel. They must be necessarily winding and of floating width as there no ideal paths in the nature. Stones for a path are carefully selected: preference is given to flat rocks of irregular shapes since they enhance the sense of old days. 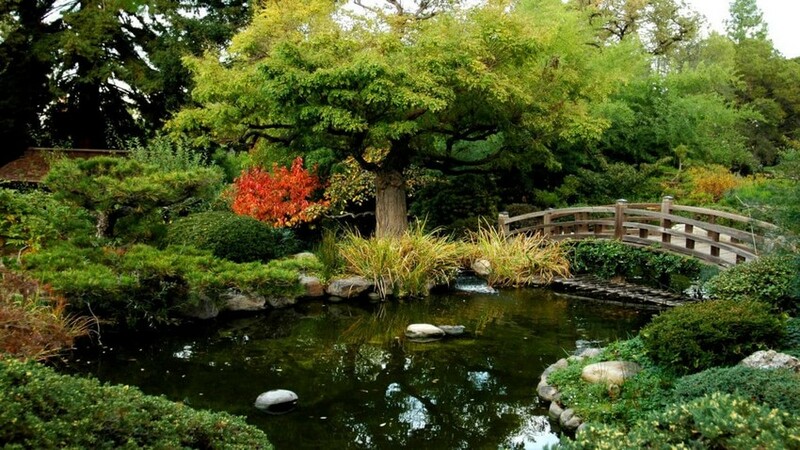 Japanese garden paths do not just lead you from point A to B; they can take you even to a dead end – to make you understand that sometimes you should just stop and enjoy the peace and quiet of the present moment.